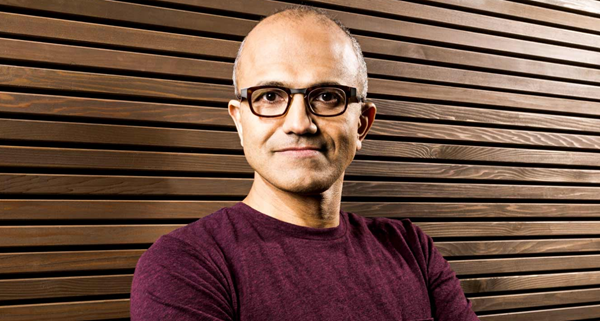 In what will undoubtedly be the biggest news story of the day in the technology industry, Microsoft has announced that Satya Nadella will be taking the helm as the company’s next CEO. The outgoing Steve Ballmer announced his retirement back in August of last year, and since then, there has naturally been quite a bit of speculation regarding who would fill these rather large shoes. Now Nadella, who has been with the Redmond-based software maker for 22 years, becomes only the third CEO in the company’s near 40-year history after co-founder Bill Gates and Ballmer. Gates, who founded the company in 1975 along with Paul Allen, remains a member of the board at the company he held the reigns for through decades of growth, and was among the first to welcome Nadella as the Windows maker’s leading man. In a brief video, which you’ll find embedded below, a “very excited” Gates explains why Nadella is a perfect fit for job; a man with “the right background to lead the company” towards continued innovation. Interestingly, one of the first things Nadella has requested is that Gates steps up and plays a more active role in the company as it moves forward, and the Microsoft veteran has duly obliged, adding in his welcome speech that he will hence forth be committing “one third of [his] time to meet with product groups” as the company transcends into a new era. As such, Gates has also stepped down as the chairman of the board, a continuation of which would certainly have hindered this new hands-on role. 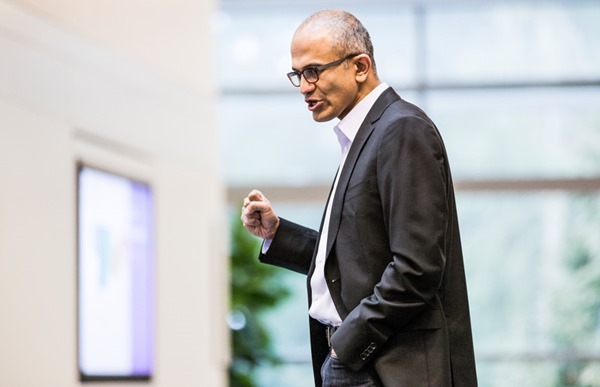 Nadella played a pivotal role in Office 365, and with many of the big companies focusing their efforts on the cloud, his knowledge will certainly place Microsoft in a strong position. Windows devices are more cloud-reliant than ever before, and with the all-new Xbox One also focused on this infrastructure, you feel that Nadella’s influence could be era-defining for the influential company. With Nadella’s background in electrical engineering, it’s no surprise that Gates has jumped at the opportunity to play a more cardinal role on the board, and with more than a few associated with Microsoft having seen Ballmer’s leadership as hindering the company’s progress in innovation, today’s announcement will be welcomed by many.